About us- CrysTek # CrysTek is a professional supplier of Solvent Printer, Eco Solvent Printer , Inks and the relative Spare Parts , with 10 years experience in the market. # All of our product is direct from original manufacturer, who also supplies the brand name to domestic market but with much higher price. We can give you professional advices, suggestions and ways to further reduce your production cost in the long run. Shipping Term We will arrange delivery within 24 hours after order confirmation. We will send you the tracking number immediately after the goods are sent out. We can send engineers to install the machine overseas. 3. When you receive the items you ordered, in 24 hours, please check it carefully. 4. If you have not got it within the shipping time,please contact us without hesitation. However, there is different tax rate for different countries, and it's on buyers if tax is inevitable. During the warrnty, if any problems of the parts , you can send us back to repair or exchange . 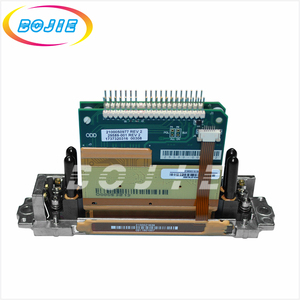 More products: We supply all kinds of top brand spare parts , ink , printers . print head Infinity / Phaeton / Challenger solvent printer, Galaxy eco solvent printer ect. Some of the goods do not have in stock,will inform you the shipping time when making the purchase. 5.If the undeserved damage in caused due to personal reason,we don't accept return or exchange. 6.Please give us "praise"after receive the goods,any problem contact us in the first time. 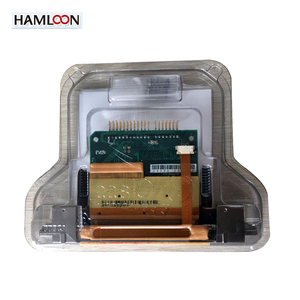 To ensure our quality, there&rsquo;re series of tests, including printing test, life test,to make sure 100% printer head in good quality 6.Delivery Time: We will delivery goods within 1-2 working days after confirm receive your payment. 7 . We will use appropriate materials for a reasonable, secure packing of your goods. If goods are damaged during the transport, please inform our service department within 3 days after goods are received. 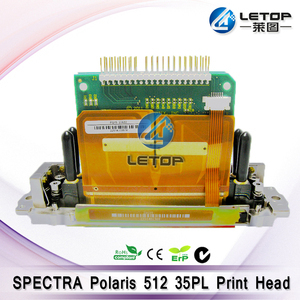 Spectra Polaris pq-512 15pl solvent printhead Suited for for all kinds Polaris head printer. 4.Do you provide samples9 Is it free 9 A:Yes,We can offer the sample (amount is little )for free if the buyer pay the freight . We have a group of professional sales and technical staff in support of the best products and service. Alibaba.com offers 766 spectra polaris 512 products. About 52% of these are printing machinery parts. A wide variety of spectra polaris 512 options are available to you, such as free samples, paid samples. 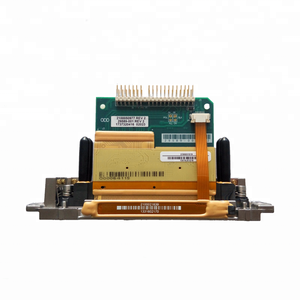 There are 764 spectra polaris 512 suppliers, mainly located in Asia. The top supplying countries are China (Mainland), Hong Kong, and Taiwan, which supply 98%, 1%, and 1% of spectra polaris 512 respectively. Spectra polaris 512 products are most popular in Mid East, South America, and Southeast Asia. You can ensure product safety by selecting from certified suppliers, including 58 with ISO9001, 6 with Other, and 1 with ISO14001 certification.